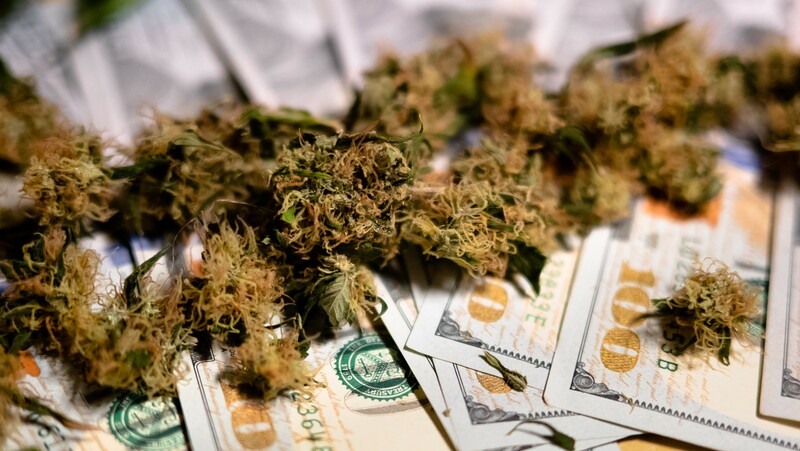 Ever wonder what it’s like to be a cannabis company’s money guy? National Public Radio dived right in and palled around with Tom DiGiovanni, the chief financial officer for California-based Canndescent. “Over the course of a month, we probably have $2 million in cash that’s in some state of transit,” he told reporter Yuki Noguchi. He expects that amount to double by the end of the year, meaning the company will need several heavily armed guards to transport the money in armored trucks. Not only that, Canndescent hires dudes just to count their paper, which brings to mind scenes from "Breaking Bad," when Walter White’s employees would take nap breaks on beds of cash. The biggest headache? Banking. And that’s a problem everywhere, even Vermont. But Dan Yates, the president and CEO of Brattleboro Savings & Loan, is preparing to lend to cannabis businesses, given his bank’s proximity to the Massachusetts border, where weed sales are already legal. “Someone has to be willing to take the first step here,” Yates told VTDigger.org. Some banks already loan to cannabidiol and hemp businesses, as Seven Days wrote. Yates, though, reached out to colleagues in western states for advice. They talked to him — but only after they swore Yates to secrecy about their identities and their specific tips, the Vermont banker told reporter Anne Wallace Allen. “There is still obviously some nervousness surrounding this,” he said. April 12: Wondering what's up with weed in the Green Mountain State? The House Committee on Government Operations has been taking testimony all week over S.54, the Senate-passed bill that would create a regulated marijuana market in Vermont. Click here for documents, testimony and other information on the proceedings. Got a story you want to see in our our weekly roundup? Send an email to cannabeat@sevendaysvt.com. The Cannabis Catch-Up: Would Small Vermont Growers Get a Chance in a Regulated Market?